As a Trustpilot customer, you have the opportunity to embed the Trustpilot review form on your own website. 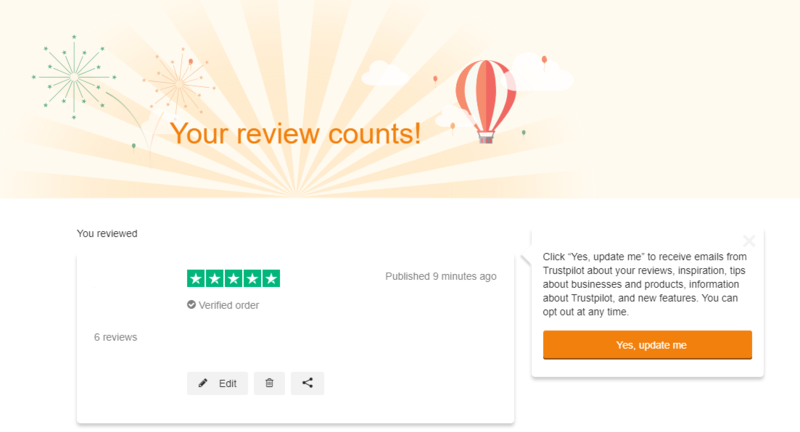 This allows your customers to post reviews on Trustpilot directly from your website. 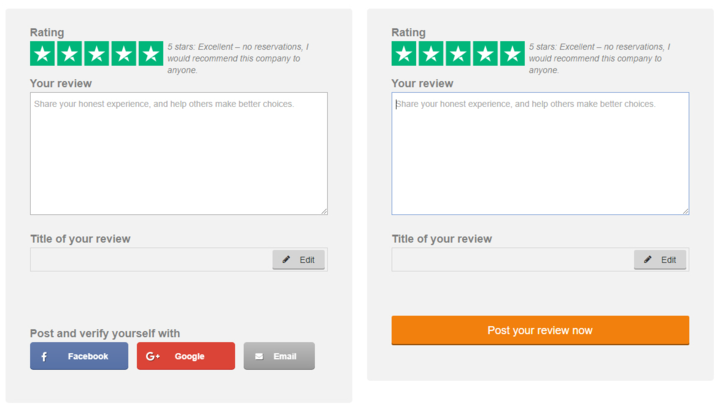 It is a version of the review form designed to be embedded in the check-out flow inside your own webpage. leaving a review will be an integrated experience of your checkout flow. The Embedded Review Form is both responsive and mobile compatible. The Embedded Review Form is standard and non-configurable. Create an iframe on your website loading this URL. We recommend using Unique Links or Business Generated Links when embedding the form, as this will ensure your customers will not have to sign in with Facebook or email in order to submit their review. The Embedded Review Form can be used with programmatically generated Unique Links, but not the Unique Links generated using API’s. You can still continue to use the Unique Links, without the Embedded Review Form. Use embed when loading the link in an iframe. The generation of the Unique Link must happen server side and not in the browser to ensure the Secret Key is not visible to 3rd parties. Note: Depending on your tier you might be able to use the Embedded Review form with Business generated links. Use of The Embedded Review Form is restricted and the implementation does not allow the parent site (your site) and the Trustpilot site to communicate with each other.